For several years my friend Katie would tell me “You’re doing my wedding when I get married”! I gleefully smiled and agreed. During that same time period, I was fortunate enough to do the weddings for 2 other mutual friends. So last summer, when Katie call me, I was ecstatic to hear she had picked a date. The big challenge, Katie and Alex had just recently moved to California for their jobs. Katie had emailed me many times with pictures of things she liked. All I could say was, “Let’s wait and see the venue first, then decide on the décor”. 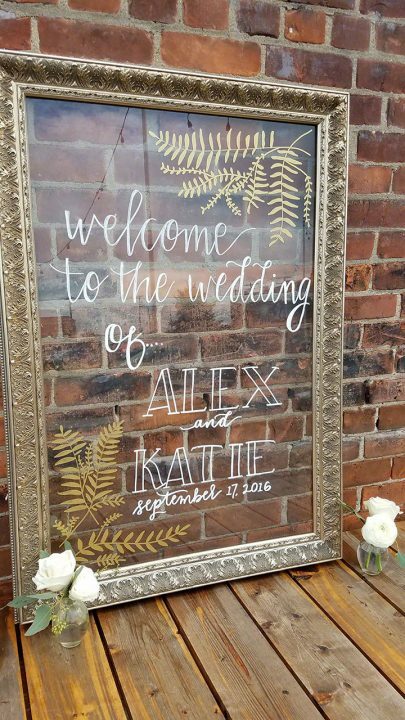 After the summer, Katie and Alex made one of several trips home to Michigan to plan their Big Day! Katie and Alex had chosen this new space called “The Eastern”. I had never heard of it before, but I was curious. We met down in Detroit at the venue and it was very raw and in some aspects untouched for decades. The owners had done some major updates, but left the rustic brick and paint alone. 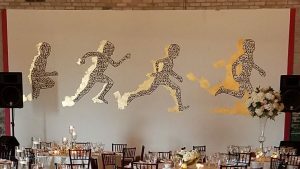 At the time, Katie’s biggest concern aside from having to bring everything in, was the mural of the people running. Katie wanted it covered, but I talked her out of it. She did mention it a couple dozen times after that, but I kept reassuring her that covering it would be a bad idea. I thought it added a neat feature to the space and covering it would draw more attention that leaving it as is. So the planning began and Katie and I shared ideas of what her and Alex wanted. 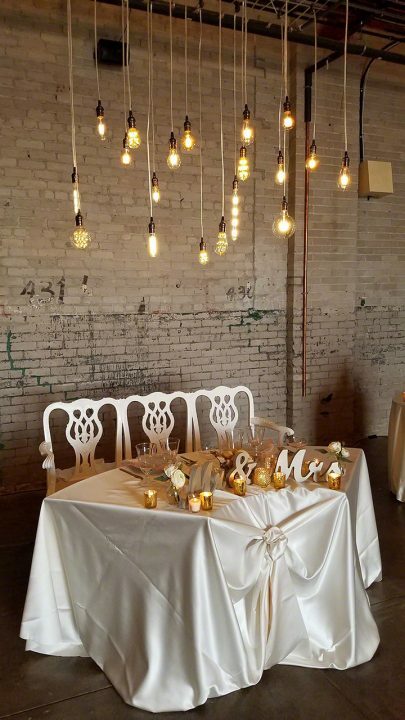 They wanted Edison style lights strung inside and a chandelier over the dance floor. I thought to myself that now would be a great time to make a custom piece for this wedding. I sketched out what I was thinking and started buying parts. Then the parts sat on my floor for several months. It wasn’t until about a month ago that I finally put my thoughts on paper into reality. I really wanted this to be a unique piece that fit in with the venue and the other items we were doing. 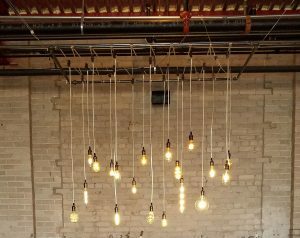 Lastly, I scoured the internet for vintage looking bulbs that were LED. I wanted to retain the vintage feel but be energy efficient at the same time. The entire unit was completed and it uses less than 100 Watts of power. Oh, so back to the planning… The ideas all started to come together and everything was looking great. Katie and Alex were visiting from California a couple more times and we had a chance to continue working on the wedding. All of a sudden, Katie and Alex both decided that they wanted to move back to Michigan. And that’s what they did. They quit their jobs and came home to friends and family. It was a huge leap of faith for them to do that and I commend them on doing so. So here comes the Big Day and I set out with my staff at 5:00AM to The Eastern to get everything set up. We also had to send staff to Comerica Park to set up chairs for the ceremony that was taking place there. The weather was not on our side and things started to look bleak. Not only was the ceremony outside, but we were stringing up lights outside The Eastern. I kept looking a the radar and it was not looking good. Now this being Michigan, you never know what will happen with the weather. So my staff and I set up everything outside as planned, in the rain! By the time we finished installing all the tables and chairs, linens and lights, the rain picked up. I headed home to get ready for the ceremony. Remember, Katie and Alex are friends, so my wife and I were invited to the wedding as well. I was getting ready and rushing my wife out the door so we could stop back at The Eastern to check on the caterer and florist. We then headed over to Comerica Park for the ceremony and it was still raining. I was now stressing out over the rain. How could this happen to such great people? All the while, my wife kept reminding me that I did not bring an umbrella! Thanks dear for the reminder. The rain had slowed down and was now at a drizzle, but enough to make it miserable at best. We were standing around under cover at Comerica Park with close to 200 friends and family all there to see Katie and Alex get married. The staff at Comerica was diligently trying to dry the chairs off and vacuum up the puddles. All of a sudden, not more than 5 minutes before the ceremony, the rain stopped and the clouds slowly opened up. Everyone took their seats and closed their umbrellas. The ceremony took place and it was awesome. After the ceremony was done, we had a little time to waste before the reception started. My wife and I walked around, went into a store and then to a little restaurant around the corner for a drink. We had a great time chatting with the family that lived across the street from Katie’s family. They watched her grow up and with their daughter and now get married. We sat and shared a few more stories before the time came to go to the reception. We all walked out of the restaurant and the sun was shining and almost all the clouds had moved out. The weather was amazing and the temperature was perfect. The reception was perfect from beginning to end. My wife and I had such a great time at this event as did all the others in attendance. The bride and groom were happy with everything! It was such a pleasure working for friends and getting to attend as well. I hope you like the photos we have to share. Lyle…. 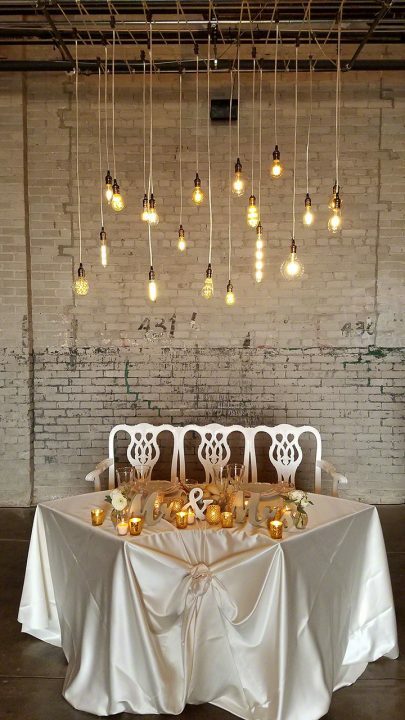 Your wedding deserves to be special, and having great décor can make this happen. 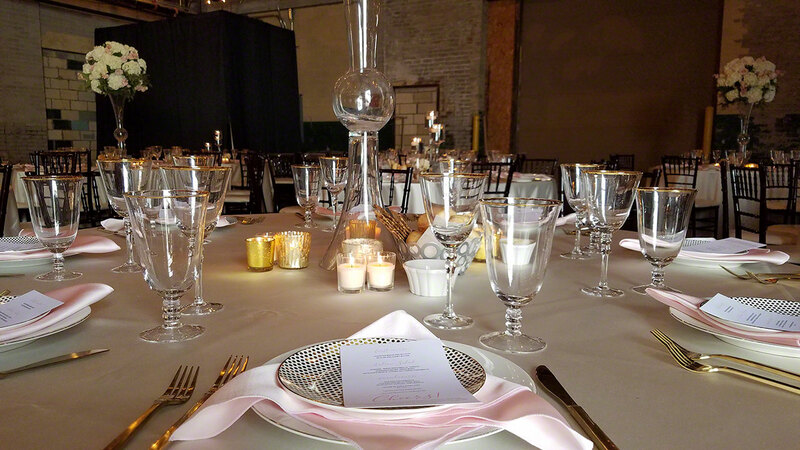 Your tablescapes decide the impact of your reception décor to a great extent. 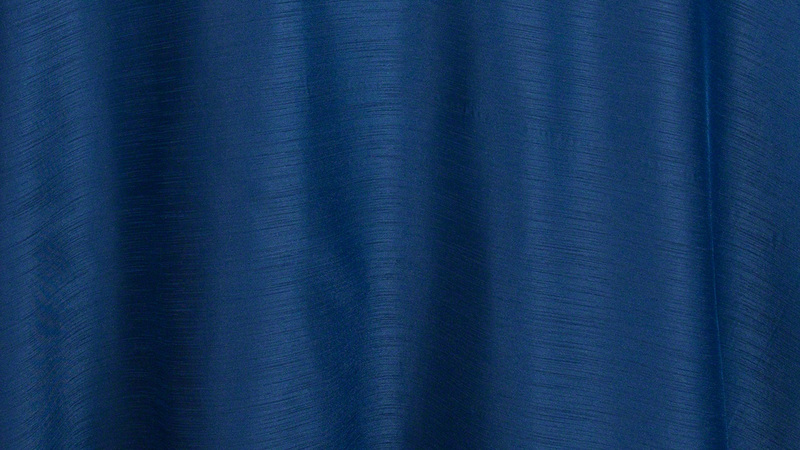 Good quality table linens that match your theme will increase the appeal of your décor manifold. 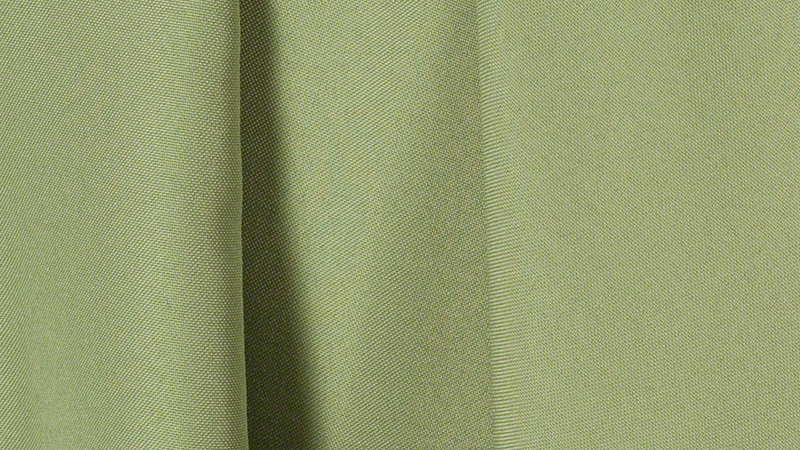 Good linens are expensive, and buying them for just your wedding day isn’t sensible nor economical. 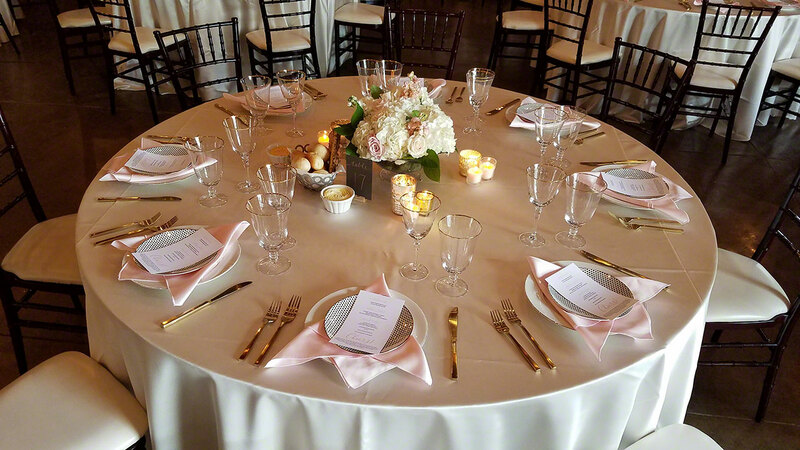 The cost-effective and efficient way to have beautiful tablescapes is to rent table linens from a reliable rental company. 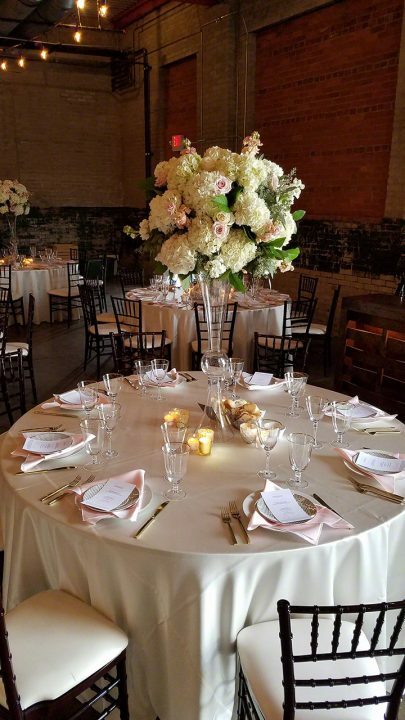 The team from Best for Bride, the wedding dress chain from Canada, suggest the following tips for prospective brides to rent table linens for their wedding day. Start your research for your wedding linens early, and you will have enough time to find the best choice for your budget and theme. You have to choose the right vendor, analyze your options, compare prices, fix the rest of the details and place your order. So, make sure you have enough time for all this. 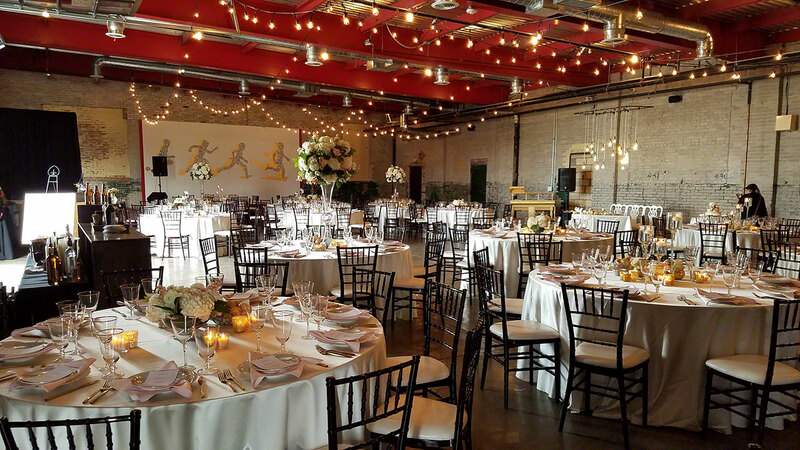 The ideal linen size would depend on the type of tables at your venue. To identify this, you should know the table measurements. Add an extra 60 inches to the actual measure to ensure the table cloth you choose covers every visible area of the table, including the legs. 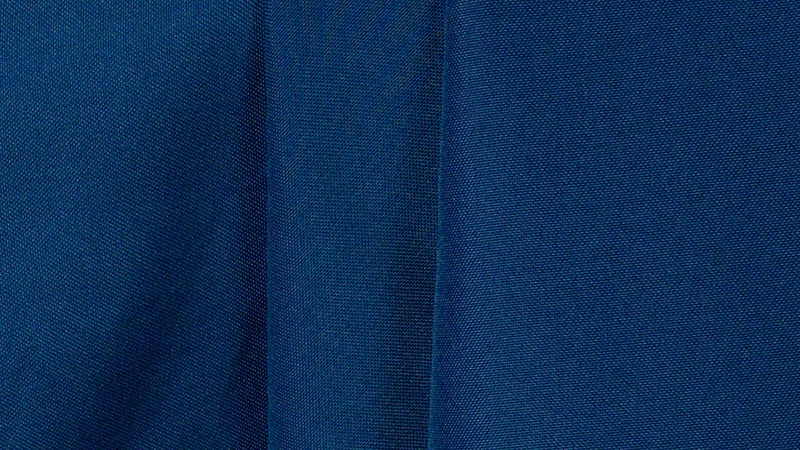 Different companies may call the same fabric by different names. So it isn’t easy to understand what the description for an item actually means, till you see it in person. 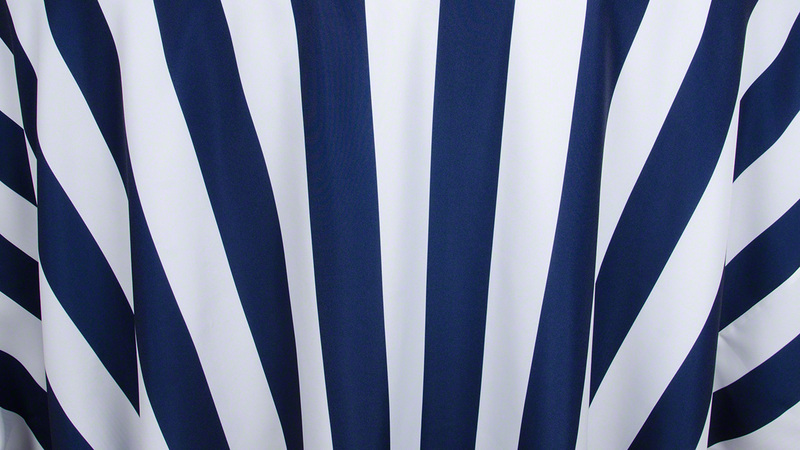 The safest way to understand what you will get is to visit the shop in person and see samples. 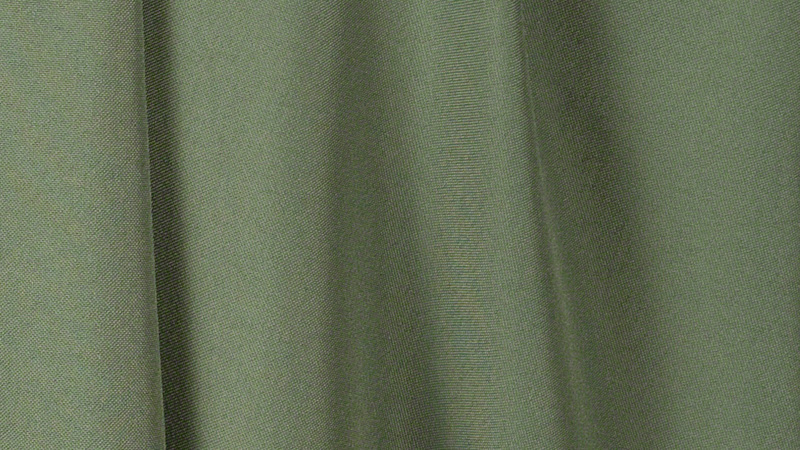 Compare sample linens to correctly determine what you want for the impact you desire. Before you place your actual order, make sure you clearly understand what the costs include. The cost may or may not include shipping charges and setting up charges. So, clarify this point. The vendor may offer a discount if the order is for a weekday or in the off-peak season. Explore these options to get the best possible deal. 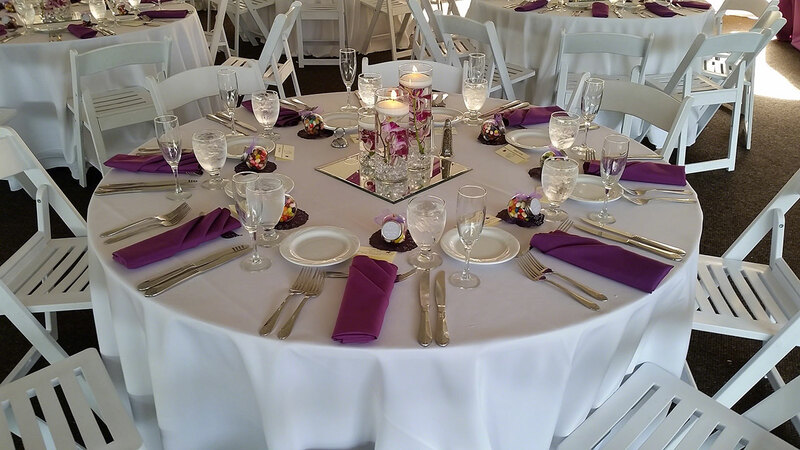 The rental company you choose will usually have used the linens previously at other events. Nevertheless, a good company will take care of its linens and you should receive a uniform lot with no faded or worn-out pieces. 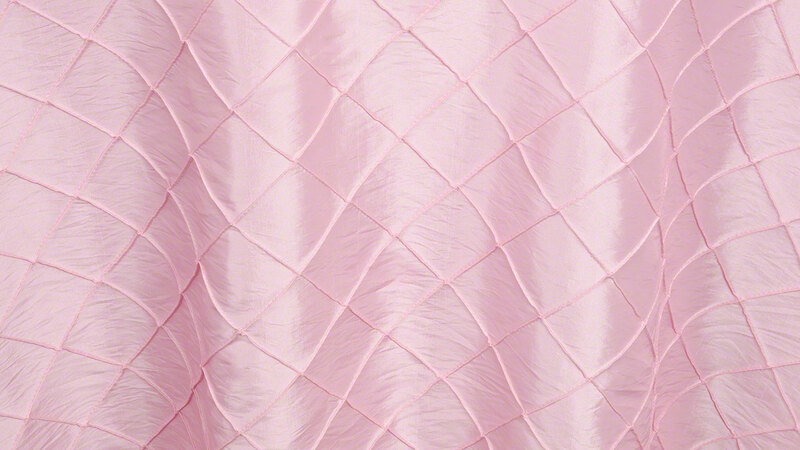 Good quality linens will affect the overall quality of your décor. So, choose a reliable vendor with good feedback to get your money’s worth. 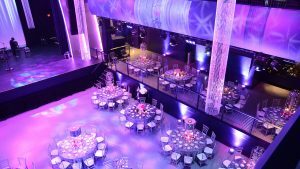 This article was written by a guest author on behalf of Fabulous Events. Author Bio: Best for Bride (www.BestForBride.com) is a Canadian bridal destination, with an online shopping service option as well. They feature a wide range of designer wedding dress collections, bridesmaid’s dresses and dresses for special occasions. With wedding dress alterations, accessory sales and a range of vendor services, this bridal chain caters to every need of the modern bride. Oh how time flies, it seems like it was only yesterday when we were planning the first Keeping Kids in the Game charity benefit. This coming Monday, August 1st, we will be celebrating the 8th annual Keeping Kids in the Game hosted by Miguel Cabrera. It all started back on Thursday, July 9th, 2009. It was hosted by former Tiger, Brandon Inge, and now retired Shortstop Carlos Guillen. Every year since, the event has grown just a bit larger and has sold out each time. In addition, we have always had incredible weather regardless of the month. Here at Fabulous Events, we are approached by several hundred organizations each year to participate in their event. As much as we would like to do them all, we just can’t. So each year we select 4 new causes based on a set of criteria here on our website. This is never an easy thing to do, but we do it. We also have chosen several organizations that we support on an annual basis. This organization is one of them. Keeping Kids in the Game is a benefit for children’s health and youth baseball hosted by our very own Miguel Cabrera from The Detroit Tigers and the Detroit Tigers Foundation. Miguel brings his infectious smile to every event, just as you see when he is on first base. This event provides its donors an evening under the lights at Comerica Park. With exclusive access to the ballpark field and clubhouse, priceless auction items, private fireworks show, live entertainment and tons of food, this night is one for the books. As of this post, I am not sure if the event is sold out or not, but it does sell out. If you cannot make it this year, make sure to attend next year. 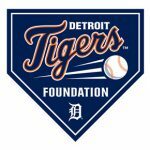 For more information, visit the Detroit Tigers Foundation. I will update the post when I find out more. Here are a few links to other great organizations that we support and you should too! With the wedding season in full swing right now, planners, brides, grooms, and all those who follow are on the move to finalize each and every, and I mean EVERY little detail. 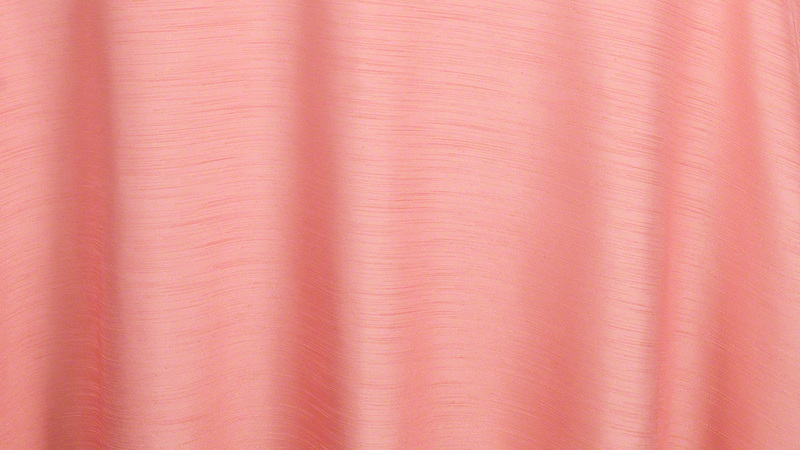 This season, like many other, we are seeing a lot of pastels, mixed with accent darker color. 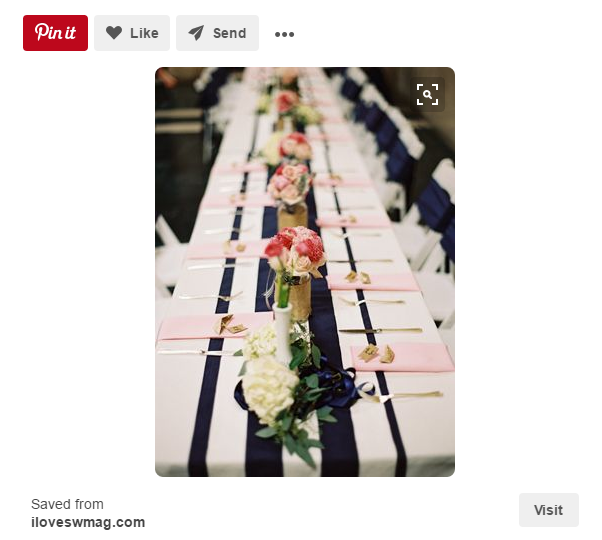 For example, I cannot tell you how many times I have come across the ever popular blush and navy blue color palette when scrolling through Pinterest (which is multiple times a day). Even though I see this everywhere, it is a color palette that I do not get tired of seeing. 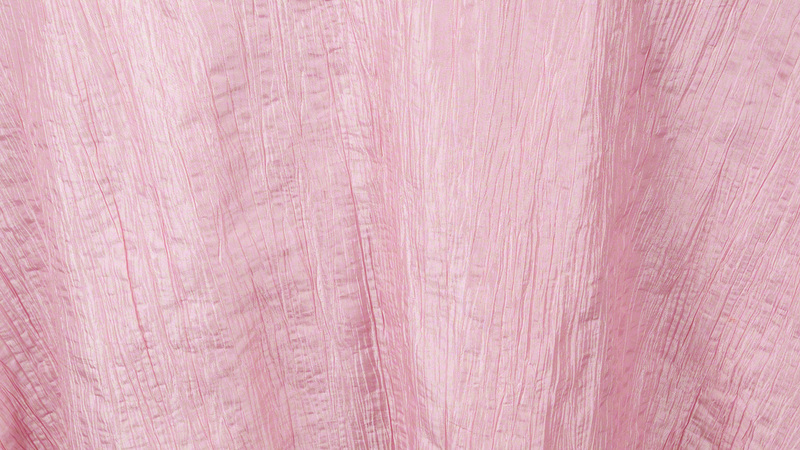 Pinks don’t have to be all pretty, pretty princess. Now having flashbacks to playing Pretty, Pretty Princess in my childhood friend’s living room. Man, what ever happened to that game? — Alright sorry, back to reality. Nowadays, grooms are becoming more involved with planning the big day. After all, it is there day too! 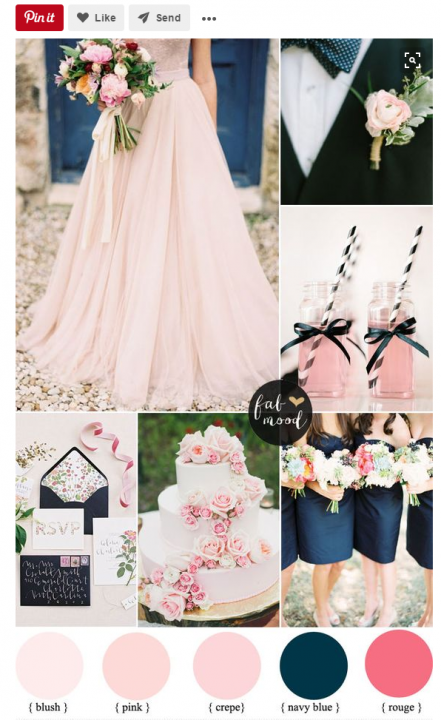 In order to make the big event a little gender neutral and less girly, try mixing it some light pinks and dark blues, or greens. Every week we do dozens and dozens of weddings and other special events. Unfortunately I don’t always get the chance to be onsite for the install. 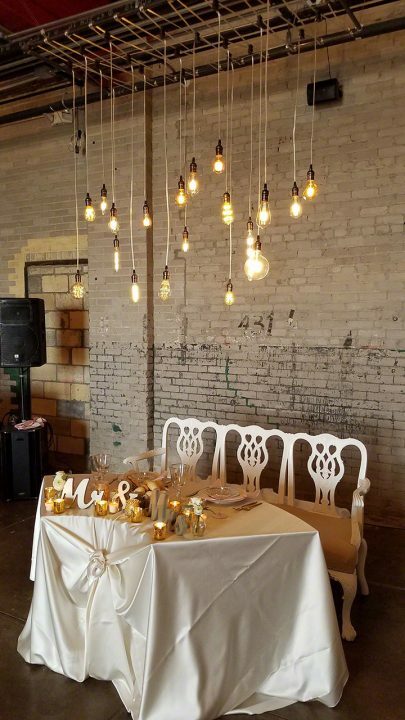 This past weekend, I was able to be onsite during the entire install from the first linen going on the tables to the last light getting turned on. You might ask why I am writing about it, simple, this is why we do what we do. 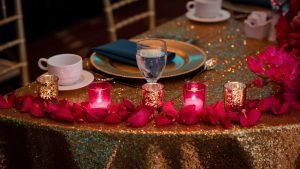 We love creating events from beginning to end whether they are small or large. This was the wedding for Jay Lazar and Lisa Rasansky. 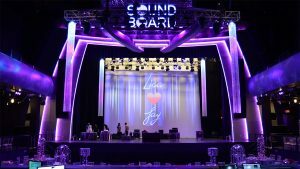 The ceremony was held at The Motor City Casino and Hotel and the reception which followed immediately was inside Sound Board. Planning for the big day started about a year ago and over the course of time, everything started coming together. 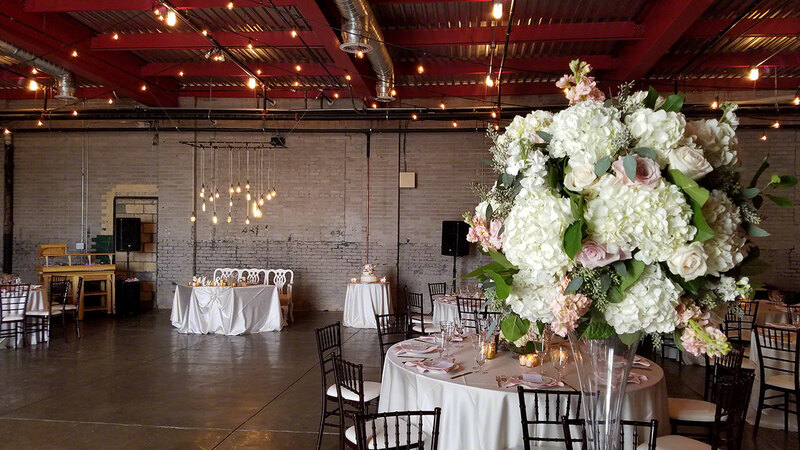 We worked closely with Andrea Solomon, the wedding planner, along with Twig & Berries, the florist, to pull it off. Lisa, the bride, wanted simple but elegant. We had a simple color pallet of silver, pink and white. 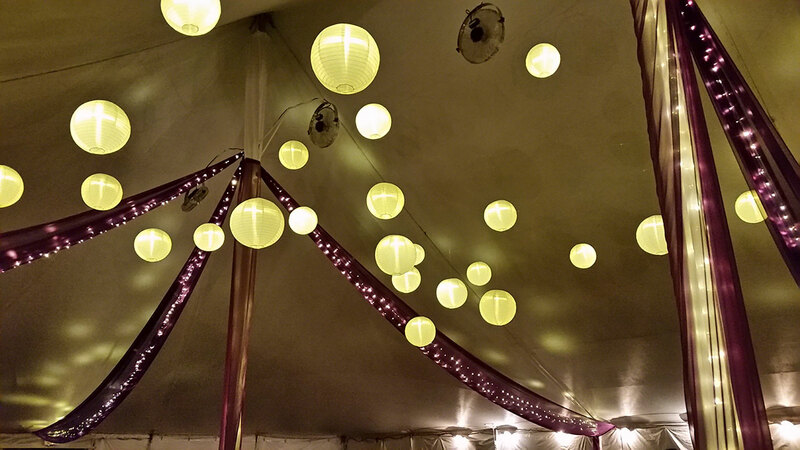 In addition to the color, the client chose lots of crystals to be suspended from the ceiling. The florist hung sections of crystals over the aisle for the ceremony and we used our wireless pin spots to illuminate the panels to make them pop. 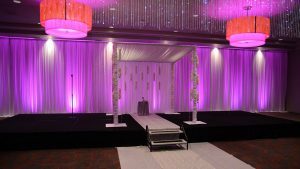 We also draped the entire back wall behind the Chuppah and lit it up with hot pink LED’s to match the hot pink in the chandeliers. 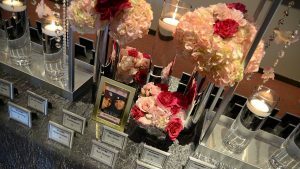 In the foyer between the ceremony and reception areas was the place card table covers with florals, candles and our silver iridescent crush table linens. 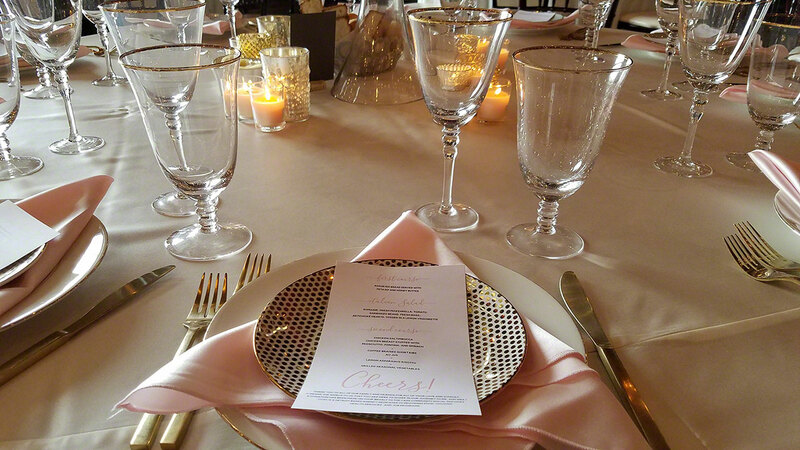 The guests place cards were all in small silver frames. Heading into the Sound Board was my favorite part of the event. Here we were able to take an already amazing space and make it even cooler! We started by suspending 6 of our 20’ crystal columns from the overhead trussing and lit them in pure white with our LED lights. Throughout the room, we used a combination of 3 different table linens all in the same color, but various textures. We used our Platinum Loveable, our Silver Manhattan Sheer and our Silver Iridescent Crush. We took the menu cards and wrapped them with our Charcoal Majesty napkins. 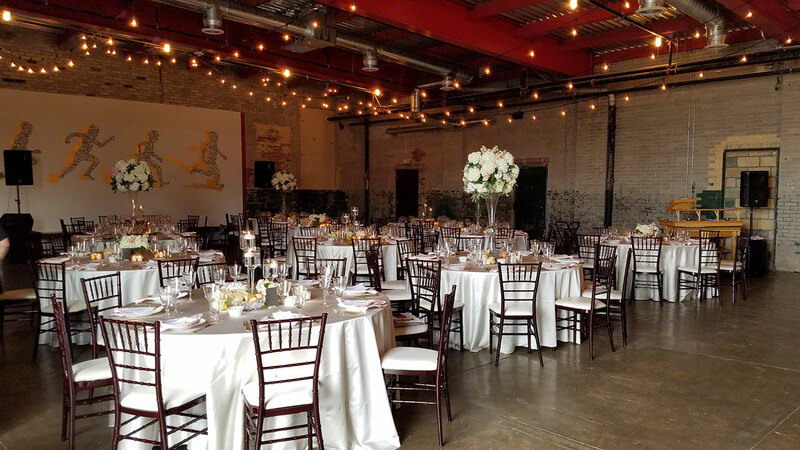 We brought in our Silver Chiavari chairs with white leather pads for all of the tables. Following behind us, Twig & Berries did an assortment of centerpieces at various heights and styles to draw your eyes to the tables. While the venue already had a ton of lighting, we added another 3 dozen LED uplights to illuminate the ceiling area above the seating areas. Together with the A/V techs from the Sound Board, we lit the room up in white, pink and light purple. It was stunning to say the least. We hope you will take some time to flip through the photos we have here. 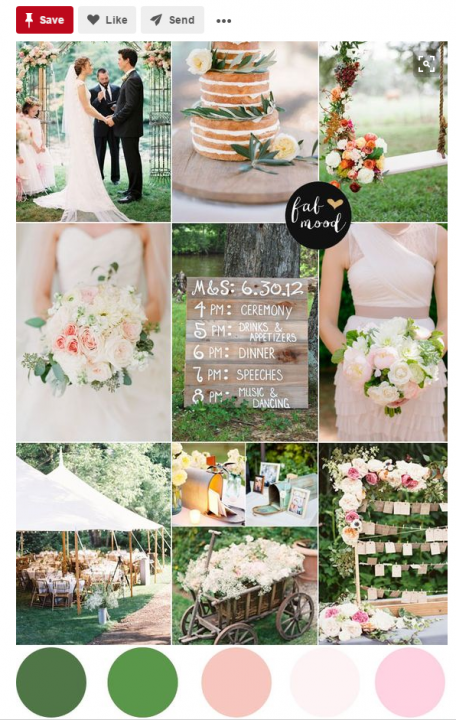 We just love what we do here at Fabulous Events and I hope you can see some of our love through these photos. We also hope you will call on us to put together the event of your dreams, whether here in Detroit, or anywhere in the US. To see more great photos from the event, click HERE. 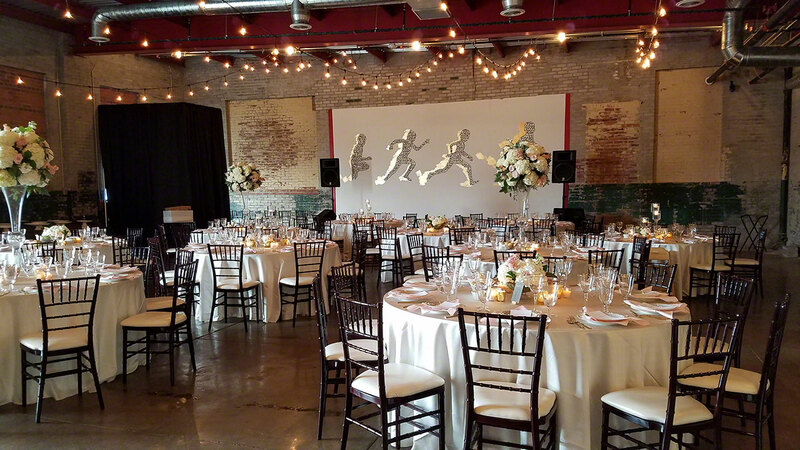 This past weekend was quite the whirlwind at Fabulous Events. With 14 installs in the Metro Detroit area, we had our hands full. Some may refer to the weekend as “Controlled Chaos”, I would agree. It all started last Monday when I looked up the weather forecast for the weekend. The forecast called for a 60% chance of rain and temperatures in the 90’s. Tuesday it was at 80% chance of rain and the possibility of strong rain, winds and potential hail. 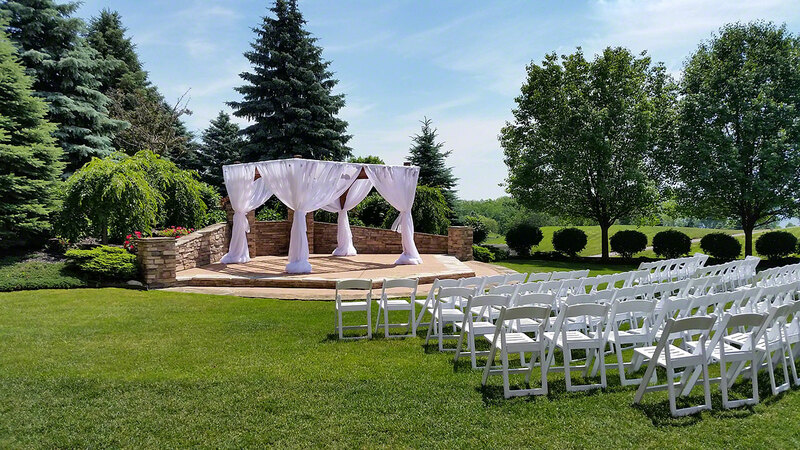 Now I was getting nervous, 2 of our weddings had outdoor ceremonies and we were draping the pergola’s for them. I then reached out to our hotel partner to work on a plan for the potential of rain. We had informed both couples that they would have to make a decision 4 hours before to go ahead outside or move inside. So, the rest of the week I watched the forecast change back and forth, up and down. I was more than nervous when we got to Saturday. The forecast was down to about a 20% chance, but it was super windy and very hot. It was 85 degrees at 10AM with another 10 degrees to go. So, 11AM comes and our first client makes the decision to have the ceremony outside. 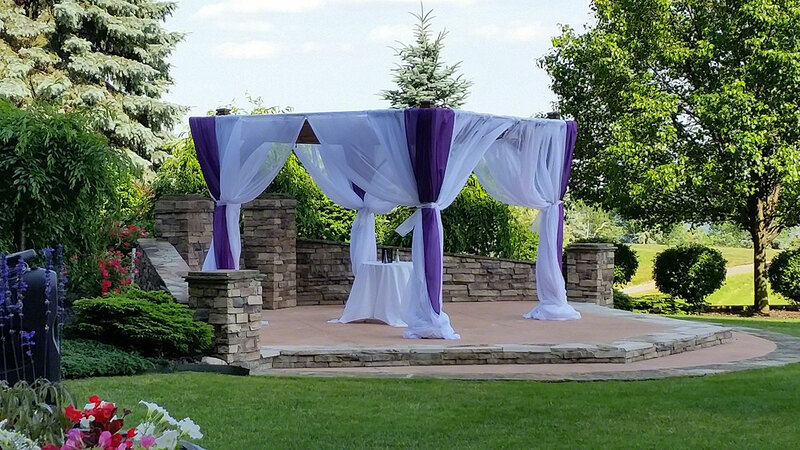 I set out to drape the pergola in white voile panels. It was now 95 degrees and windy, but the wind did nothing other than blow hot air. While I was melting, I could only think about the weather, and I was hoping and praying that the bad weather would stay away. 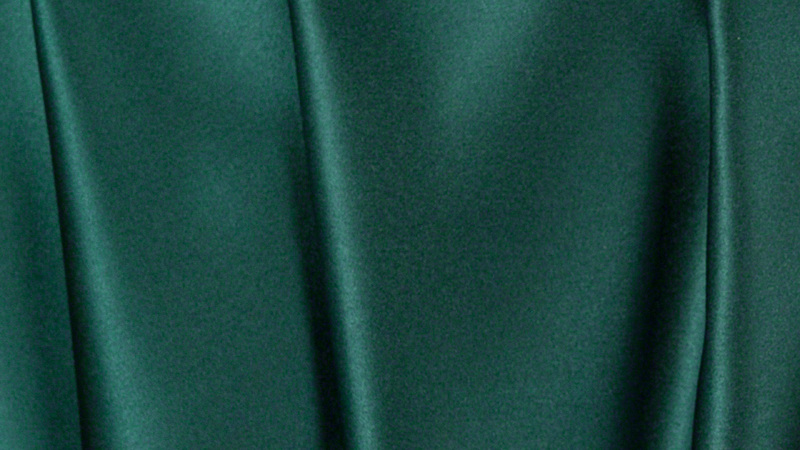 The wind also posed a challenge when trying to adjust the drape. It was about as hard as herding cats! So 3:30 comes around and the weather is holding out. Hot, definitely hot! As you can see from the photo above, the wind was definitely going strong. The pergola looked like it was sailing! 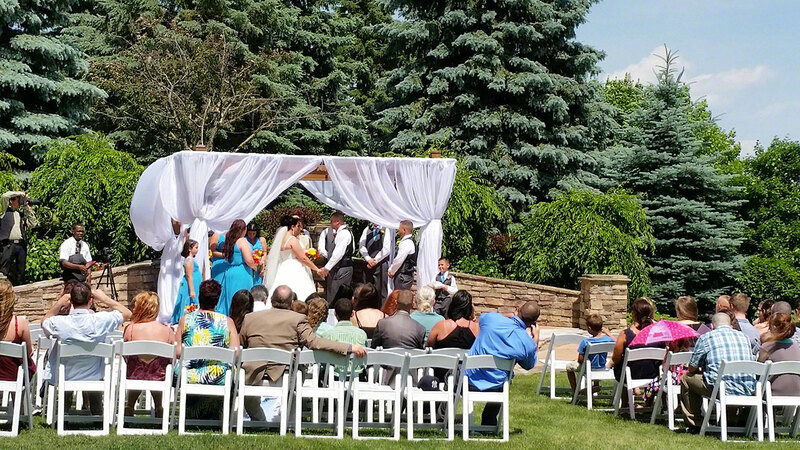 Regardless of the wind and the heat, the first ceremony went off with success. 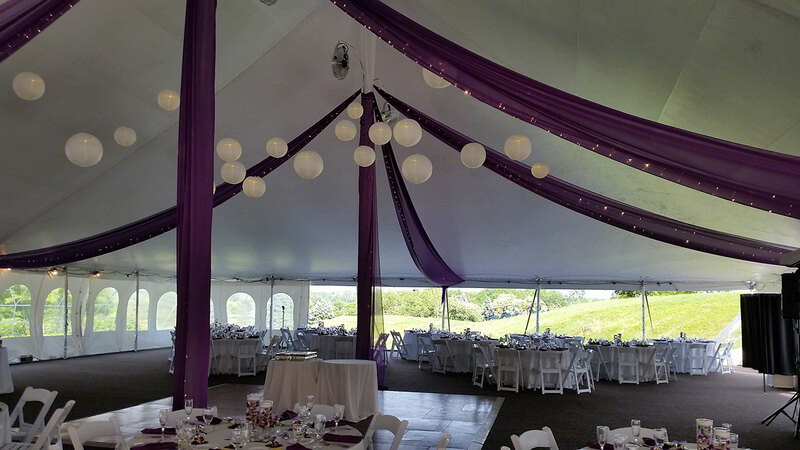 After the first ceremony was over, I had to change the draping to match the inside of the tent with the plum color the second bride has chosen. The wind was a bit stronger at this time around. It was like someone trying to sail a boat holding the sail in one hand and the boat in the other. I am quite sure it was comical for those around watching me. 5:30 comes around and the weather remained nice, windy, but nice. I was finally able to take a breath and sigh in relief. Both ceremonies happened outside as scheduled and the rain never came. What a week, going from 80-90% chance of rain to nothing! Days like these make it all worth doing. I was so glad to see two very happy couples getting married and being part of their special days. Above are a few more photos from the reception in the tent.